TORRANCE, CA – July 15, 2015– Forbes Magazine recently compiled its first ever list of the nation’s top 50 most successful women as measured by their net worth. 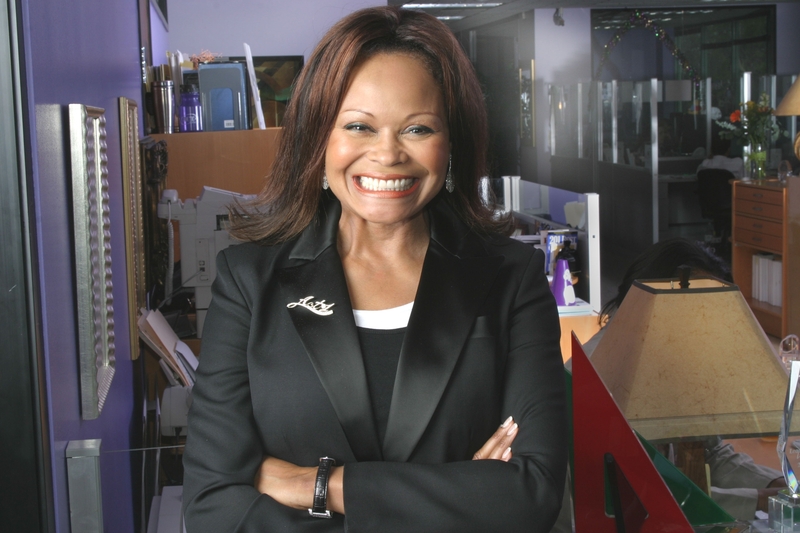 Ranking at #24, business leader and entrepreneur Janice Bryant Howroyd caught the eye of the NBC Correspondent Jenna Bush. This exclusive interview will air on Wednesday, July 15, during the Today Show’s eight o’clock hour. What makes this recognition so special is Bryant Howroyd, a self-made success, continues to help others, lifting as she climbs. Not only does she support the next generation’s workforce, she practices what she preaches by endowing educational institutions with financial support and scholarships and mentors a host of female global executives. As one of only four African Americans on this prestigious list, Bryant Howroyd joins TV Tycoon, Oprah Winfrey (ranking #5), Sheila Johnson, Co-founder of BET (ranking #22) and Beyoncé Knowles, Solo Artist (ranking #29) all of whom work in the entertainment industry. Jenna Bush Hager, NBC Today Show Correspondence traveled to Torrance, California, to meet the woman who inspired her via her Forbes profile. Bryant Howroyd was surprised and humbled, says, “It is so wonderful for me to be included with such an amazing group of highly successful women. I care deeply about supporting, recognizing and celebrating women, regardless of how big their profit margins are — and I am mindful that my business behavior is a template for future business leaders, especially the next generation of women that have so many choices in this expanding global workforce.” “I am humbled that Jenna is including me in her TODAY SHOW segment and am inspired by all the other women recognized by Forbes Magazine. Bryant Howroyd is the CEO of the ACT-1 Group. Key services are delivered under the brands of AppleOne (staffing), A-Check Global (background checks and screening) and Agile-1 (Total Workforce Solutions via process and procurement management, HR technology and recruitment). Her company group provides global solutions, operating in 19 countries across all continents. Beyond her success in business and civic affairs, Bryant Howroyd carries a dedicated enthusiasm and passion for community development. “Empowering people is a blessing and responsibility,” said Bryant Howroyd. Jenna Welch Bush Hager is an American teacher, author and journalist. She is the younger of the fraternal twin daughters of the 43rd U.S. President George W. Bushand former First Lady Laura Bush, and a granddaughter of the 41st U.S. PresidentGeorge H. W. Bush and former First Lady Barbara Bush. She and her sister Barbarawere the first twin children of a U.S. president. Hager is an author, an editor-at-large for Southern Living magazine, a special correspondent for NBC‘s Today Show and a contributor to NBC Nightly News. The NBC Today Show© is a daily live broadcast provides current domestic and international news, weather, reports and interviews with newsmakers from the worlds of politics, business, media, entertainment and sports. Additionally, specific segments such as Today’s Money, Today’s Kitchen and Today Throws A Wedding.